The composition of Beethoven’s Third Piano Concerto is linked to a number of musical innovations that mark the character of this weighty work in C minor. Unlike his two previous concertos for the keyboard, in the Third Beethoven does not permit the piano part to melt with the orchestra, but lets the instrument act for itself as a opponent, as it were, within the symphonic context. 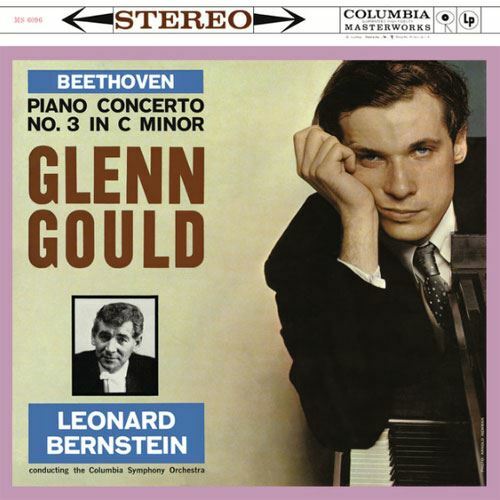 Glenn Gould, whose analytical Bach interpretations won him international acclaim, appears to be born to re-enact Beethoven’s idiosyncrasies in a special setting. The soloist strives against the forceful orchestral introduction with angular chords – and for a moment one holds one’s breath in suspense. Completely engrossed and highly concentrated, Gould moulds the Largo with his fingers, consolingly answered in dark sounds from the depth of the orchestra. The Finale comes on with Bach-like strictness, all the notes as though carved in stone. Again and again the movement changes from lyrical song to turbulent ecstasy, which drives forward to the end with electrifying emotion.